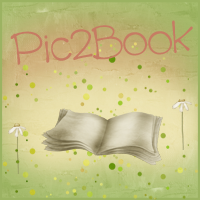 Bookittyblog YA Book Reviews: World After by Susan Ee Review and Giveaway!!!! I was so excited for World After to come out that when I got my copy I kissed it. I started reading it right away. I was expecting to get sucked in from page one. What I wasn’t expecting was to feel lost to the point where I had to put the book aside and try to skim-read Angelfall. That helped a lot. After that, I felt more comfortable with the book and enjoyed it a lot. 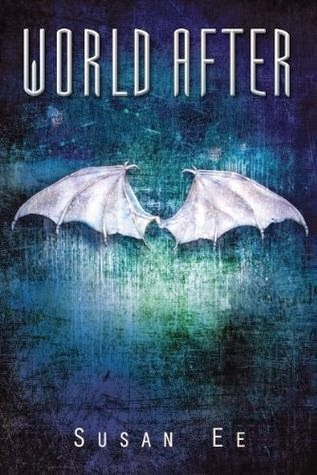 World After is a great book but Angelfall still is my favorite book in the series. I think what made me feel like this was the fact that Raffe wasn’t as present as he was on Angelfall. Penry's and Raffe's amazing chemistry was one of the aspects that made me fall in love with book one. I only wanted more of him. Even though my Raffe wasn’t in Worldafter as much as I wanted him to, the book was still a great addition to the series. Penryn was kickass like always, and her sister just broke my heart! I felt a strong connection towards her. This little girl was such a big character in this book. There’s this scene almost at the end of the book where Page does something that gave me chills. Chills!!! And I think I've said this before, but I have to say it again Penry's mom freaks me out! I love her, though. World After is not a perfect book but it was pretty darn good. There's action, plot twists, heartbreak and hope in every page. I can't wait for book 3. Let's hope it doesn't take too long! To enter the giveaway just fill in the Rafflecopter form below. 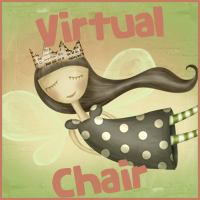 This giveaway is INT'l and ends 1/22/14. Good Luck! I've heard so many great things about this series, I can't tell you how excited I am to finally dig in and see for myself what everyone is raving about :) I'm glad you enjoyed it! I am definitely going to tr and read Angelfall and World After one after another, I hate when I feel lost when picking up a sequel! Glad you still had fun with it after skimming through Angelfall, tho! Thank you for the awesome review and great giveaway! Didn't read the review because I didn't read Angellfall yet, but I'm planning on reading it soon! I'm glad you enjoyed this one, even if it wasn't perfect. I am so excited to crack open my copy whenever I find a little time! I have never heard of this series but it looks awesome! Going to look up book one now! Also Appreciate the honest review! This reminds me - I yet have to read Angelfall! thanks for the awesome review and giveaway! I have Angelfall and my goal is to start reading it this week. Thanks for sharing! Thank you so much for this giveaway! I really, really want to read this series. "World After is a great book but Angelfall still is my favorite book in the series. "*nods* "World After is not a perfect book but it was pretty darn good." YES. I've listened it on audiobook so skipping ahead wasn't an option for me, but I agree the beginning wasn't as strong as I hoped it would be. "can't wait for book 3" ME TOO!!! lovely giveaway! really hope to win cause i loved angelfall and can't wait to find out what happnes next! I loved Angelfall and im really excited to read World After! I've heard such great things about this book, sadly didn't have the chance to read it. Thanks for the giveaway. Happy New Year! Angel fall was so good and I haven't been able to get my hands on a copy since I finished! Thanks for the giveaway! I read Angelfall just a week ago and i loved it! I haven't read World After yet because i don't have a copy at the moment. Aw, I love that you kissed it. I've heard amazing things about Angelfall, but I haven't managed to read it yet. It sounds like a solid series. Aww Raffe isn't as present? Boo-urns! I definitely want to read this one soon though and probably re-read or at least sift through book one first it feels like it's been a decade since I read that one! I rarely enjoy book 2 as much as the first so I'm not surprised it wasn't better but it sounds like a solid sequel! It's too bad Raffi wasn't in this one as much as you would have liked. I am pretty excited about this one but it's been so long since I have read Angelfall so I think I might struggle in the beginning just like you did. PS. In the entry form I put that my twitter username was jarndt08 but it's actually @XpressoJenni (I forgot I changed it DOH!) Thanks for the giveaway! What a fabulous giveaway! I've been excitedly awaiting World After, having thoroughly enjoyed Angelfall. Finger crossed! I can't wait to read this. I loved Angelfall! I am so excited for this book!!! I just simply cant wait. thank you for this awesome giveaway!! !